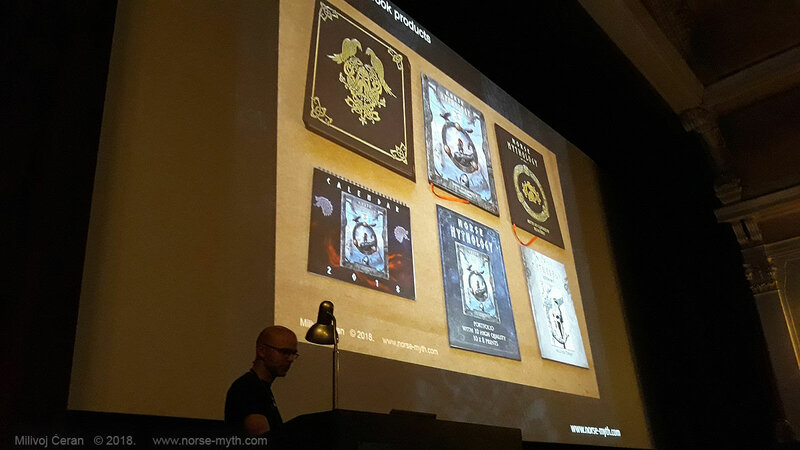 While you are eagerly waiting for your copies of the book – which many of you got tracking numbers already, a wonderful meeting happened this week in Zagreb, Croatia. 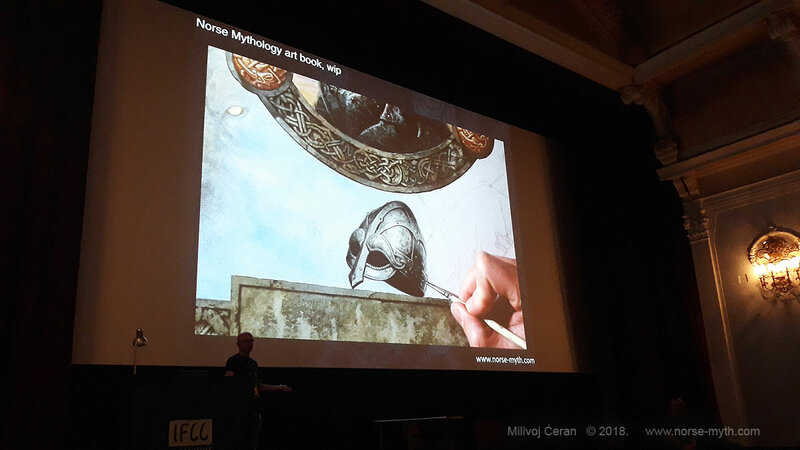 Jon Schindehette and me were among guests speakers at IFCC (Independent Festival of Creative Communication), which was held 28th May – 02nd June. Why was it so special to me? 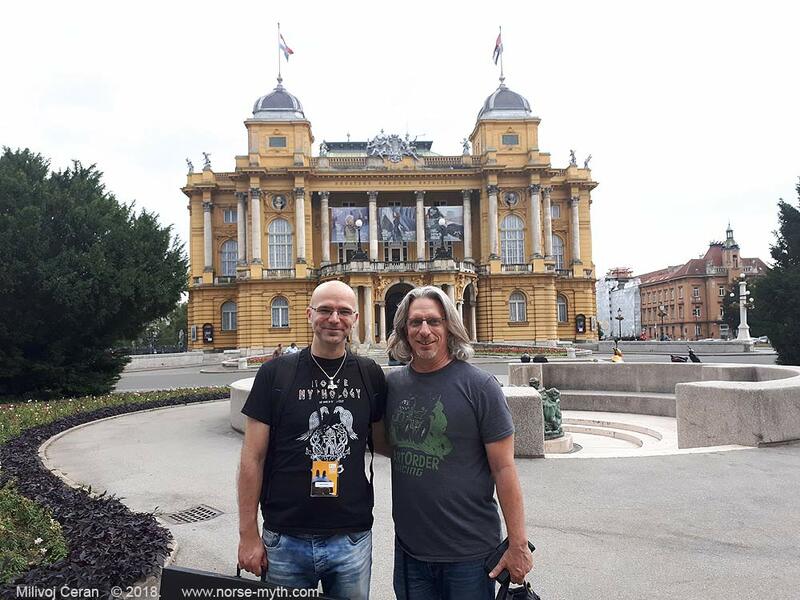 I was born in Zagreb, and Jon lives in the US. I met Jon many years ago, but to see each other in person is very rare. Last time it was 5 years ago, at Gen Con 2013 (US gaming convention in Indianapolis). 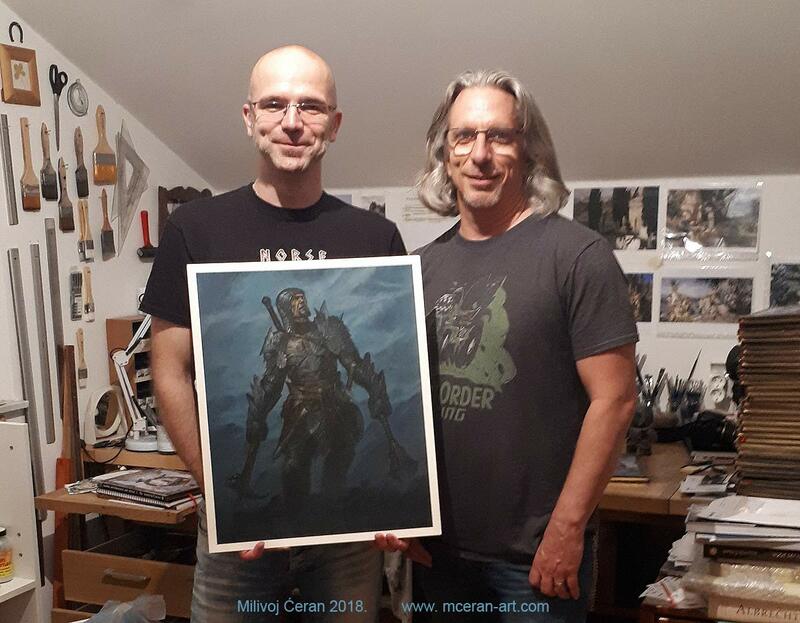 Now I had a huge honor and opportunity to show Jon not only the city where I was born but also my studio and home in Zaprešić, where most of the Norse Mythology artwork and project has been made. The “Fighter” artwork on the photo in the studio is the special artwork that made our first cooperation back in 2011. 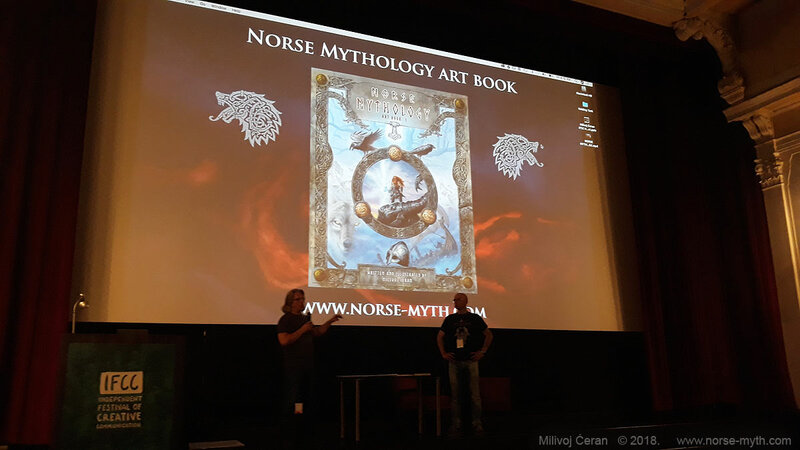 On June 1st, 2018 at IFCC, we had a presentation of the Norse Mythology art book. 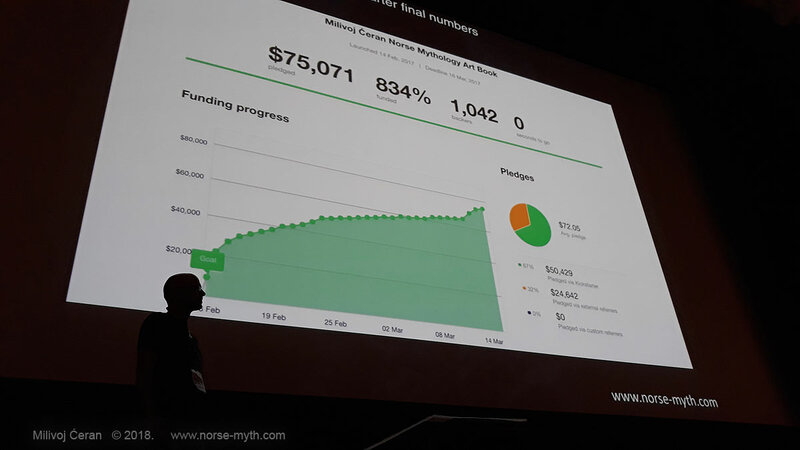 We talked about all aspects of the project: creation, artwork, Kickstarter campaign, numbers, issues, ups and downs, about vision, hopes and excitement! I was talking about the artistic and other problems with the campaign, about all the great and very exciting moments in the process, and Jon talked about management, running the whole thing, and dealing with all communication between me, fulfillment houses and printers, and answering hundreds of e-mails and messages. It was nice to tell our experiences to other artists who will maybe have ideas of running their own projects. 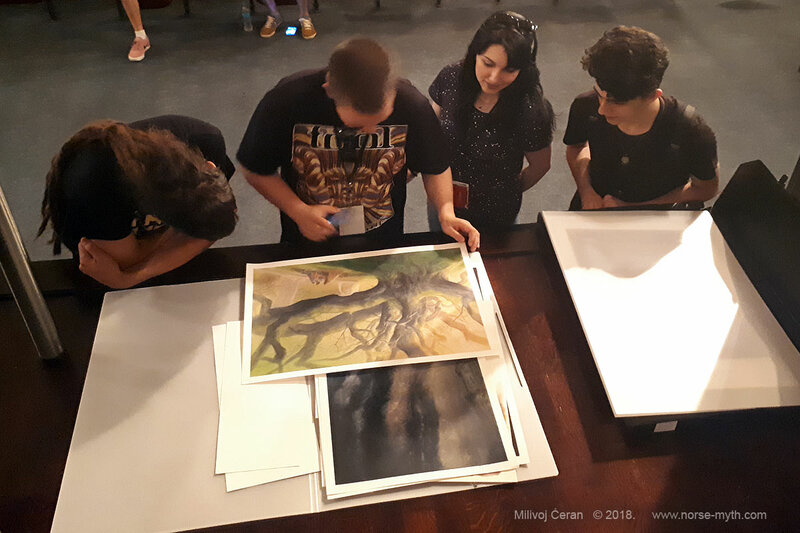 I brought original paintings from the book, so people could see them in person, and I brought all items for display (book, clamshell case, prints, portfolio, sketchbook…), which was nice addition to Powerpoint presentation. 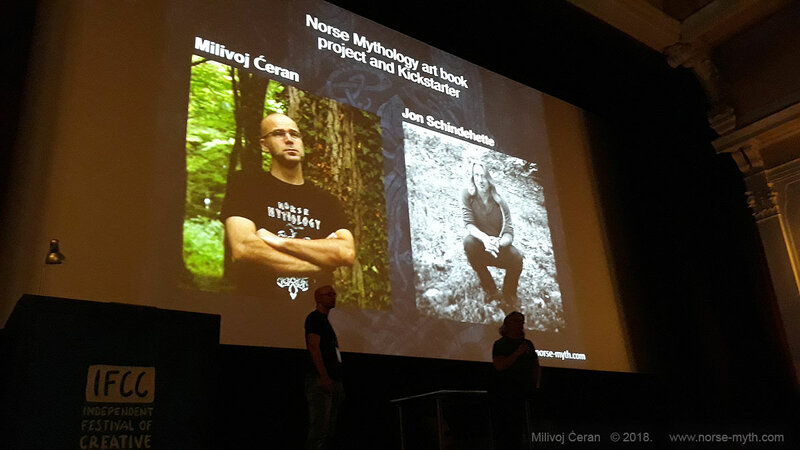 We also displayed Norse Mythology Video trailer in movie theatre “Kino Europa”. Displayed on a huge screen never looks so EPIC before! With the sound, it was a blast – like a real movie trailer! So it was a nice opportunity to see the old friend, who is also a wonderful person, enjoying small chats, and talked about the past but also future projects.